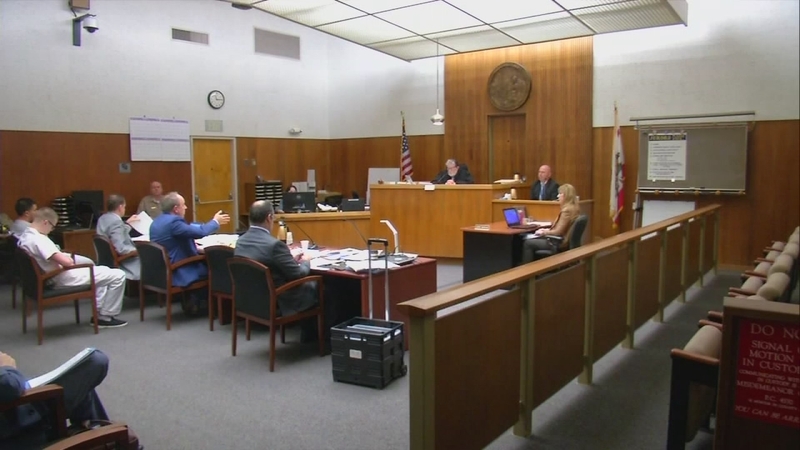 VISALIA, Calif. (KFSN) -- In the second day of the preliminary hearing for Kalvin Solis, Jose Cortez, and Noah Fox, Visalia Police Detective James Cummings took the witness stand. Shortly after the robbery and fatal shooting of Terry Wade III, he interviewed all three defendants and the underage driver. His last interview was with Solis, who, just weeks before, was released from jail on his own recognizance after a hearing related to another robbery case. Solis told Detective Cummings it was Fox's idea to rob wade during a marijuana deal at Woodland Park. Once Fox got in the back of Wade's car, Solis said he saw it speed off. He heard a gunshot, crash, and then Fox got back in the car. "He said something to the effect of 'Damn, I just shot someone.'" Wade's girlfriend tried to save him, but he died at Kaweah Delta Medical Center. Visalia Police stopped the suspect car a short time later. Jose Cortez was also inside. Friday, Cortez's attorney claimed his client was effectively along for the ride. "Early on he thought that there was this joking going on of what was happening," Cortez's attorney said. "And then all of a sudden there's a gun that's in the car, and someone in the backseat is basically being taught how to use it. Now all of a sudden, Jose is aware that this is serious, and unfortunately deadly serious." The judge said it might be a good argument for a jury, but added this was a preliminary hearing, and ruled there is enough evidence to move forward with the case, as charged. A 15-year-old was also arrested for supplying the gun in this case. The three adult defendants will be back in court in about a month.